It is not accidental that we are holding this conference in Port Harcourt, Rivers State. This city has historically served as the administrative centre of the petroleum industry in Nigeria. Port Harcourt, like Warri in Delta State, also hosts many citizens from the oil bearing communities in the Niger Delta who have come in search of opportunities. Though crude oil is often associated with wealth, many of the residents of this city end up in the squalid conditions of the Watersides, without basic amenities. While the Watersides, and the continuing pollution of the lands and waters of Niger Delta, may be hidden from the view of the privileged, a recent development has brought the reality of pollution to the front of popular discourse in this city. In the past months, Port Harcourt was plagued by soot pollution, which caused panic among residents. The federal Ministry of Environment responded by declaring a state of emergency while and the Government of Rivers State set up a task force to verify the origin of the soot. A few factories were closed. However, many in the city and elsewhere continued to point attention to the widespread activities of artisanal refineries, and the security agencies tasked with arresting the menace. This, then, is an appropriate time to address the challenges collectively. 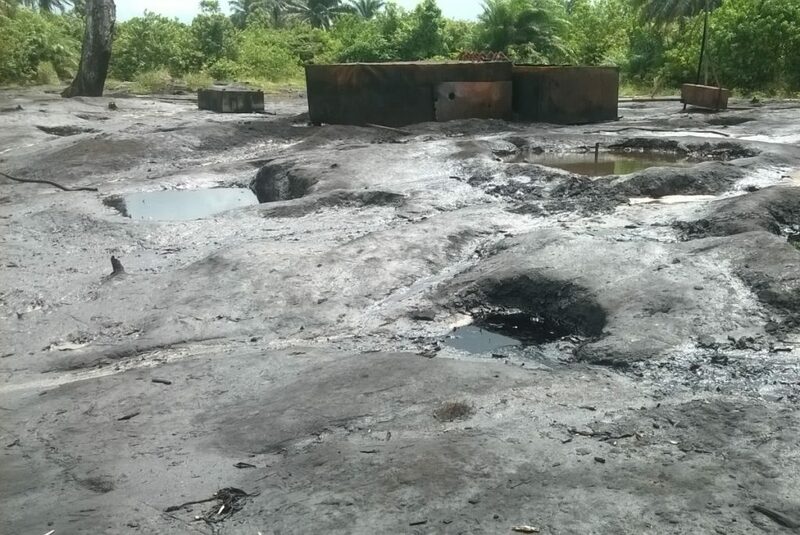 Beyond the soot pollution in Port Harcourt, the activities of artisanal petroleum refineries, and the associated theft of crude oil have aggravated the already terrible contamination of the natural environment of the Niger Delta, blighted by historically reckless oil companies. The security agencies tasked with arresting the negative development have made some progress. 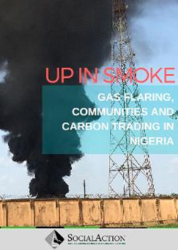 However, the destruction of artisanal refineries by burning them and indiscriminately wasting crude oil into the natural environment actually exacerbates land, air and water pollution. The fact that new artisanal refineries continue to spring up, despite the campaigns of the security agencies, means that we need to examine the circumstances that make the practice to endure. While security agencies must perform their duties, we must consider the underlying conditions that encouraged artisanal refineries in the first place. It is only when we address those underlying problems that we can deal with this issue sustainably. In the first place, crude oil theft, which is commonly referred to as ‘oil bunkering’ has been going on at a large scale for many years before artisanal refineries started. The bulk of stolen crude oil is carried out by well-connected individuals who take the produce to the international market. These are massive undertakings that involve heavy equipment and sea going vessels. On the other hand, the unlicensed artisanal refining of crude oil for the domestic market uses a fraction of stolen crude oil. Even government agencies estimate that as much as 400,000 barrels of crude oil may be stolen daily in Nigeria. That is a staggering figure; more than the entire production of individual countries such as Equatorial Guinea, Gabon, Ghana, and Cameroon. According to some estimates, Nigeria is losing about $1.5 billion each month from crude oil theft. 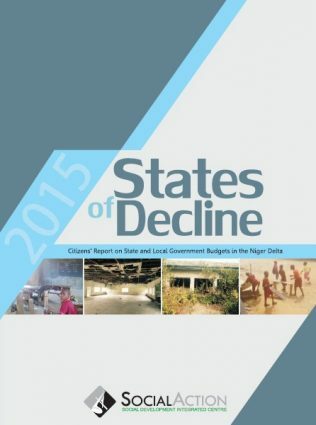 This represents a loss of revenues, more than what Nigeria spends on health and education. However, if crude oil theft constitutes a loss for the Nigerian government and its people, for the host communities, the situation is much worse. The petroleum industry has not brought benefits to the communities of the Niger Delta where poverty is widespread. Many of the young men and women that that work in the artisanal refinery sites have no other employment opportunities. Indeed, Social Action spoke with many university graduates that are involved in the business of refining petroleum products in the bushes and creeks. We cannot adequately address this problem without looking into alternative income generation activities for youth. Another point that we must acknowledge is that there would not have been an artisanal refining industry if the Nigerian state was able to guarantee the availability of petrol and diesel for consumers. Today, fuels from the artisanal refineries constitute a significant part of the Nigerian energy mix. Indeed, the already stressed economy of the country may be worsened if the artisanal refineries were to stop all activities immediately. During research conducted by Social Action, we spoke to an owner of a bakery in Brass, Bayelsa State who told us that his business would close down if the supply of fuel from artisanal refineries were to stop without an affordable alternative. Indeed, we have evidence that one of the major international oil companies in joint venture with the Nigerian National Petroleum Corporation (NNPC) uses petrol and diesel from the artisanal refineries to fuel their vehicles in the Brass area, at least some of the time. The reality is that there is an energy supply gap that artisanal refineries are trying to bridge. We live in a country without a reliable electricity grid, despite massive public investments over the years. We must examine the issue of access to energy, especially in the Niger Delta. While modular refineries have been suggested as one of the solutions, we need to explore the possibility of making licences available for some of the operators of artisanal refineries who may then be able to operate under government regulation. This is not just a criminality and security issue. This is not just an environmental issue. This is not just about livelihoods. This is not just an issue of human rights. It is all of these issues combined and more. Ladies and gentlemen, this conference has brought together representatives of government agencies at the federal and state levels, host communities, oil companies, security agencies, NGOs, leading researchers from the universities, youth groups, and even the operators of the artisanal refineries. We have all gathered here knowing that there is no easy solution. It is our hope that we will have a frank and open dialogue, generate better knowledge about the issues and identify alternative solutions. We cannot hope to the address every detail today. However, we hope that we will be able to use this forum to build enduring cross-sectoral partnerships and collaborations for the coming months, which is needed for us to collectively address the challenges. Once again, please accept our welcome.